If you’ve ever wanted to be part of all those Law & Order court scenes but doing them in a slightly satirical way, then the upcoming Twelve Absent Men (a clear play on the famous Twelve Angry Men movie) could fulfill your – admittedly singular – wish. 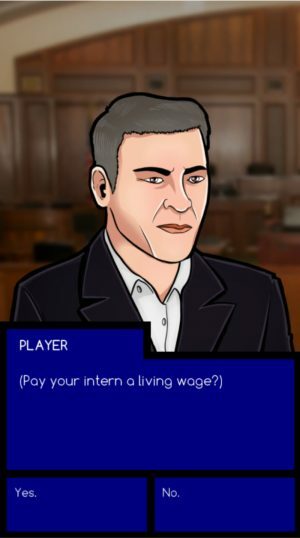 The game is inspired by the legal drama genre, but it tries to combine the gravity of the legal system with satire. It pokes fun at the predictability of the courthouse genre with its incredibly-swift justice system (no waiting for 3 years just for your turn to face the judge), and with the right side almost always winning the day. 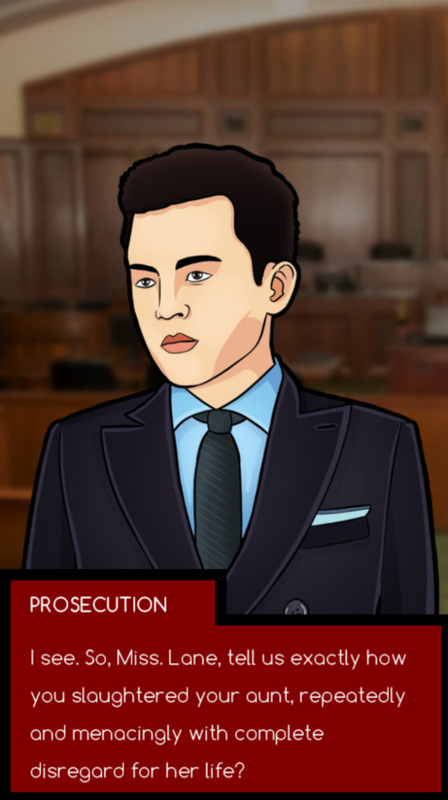 The game primarily plays as a logic puzzle where you get to examine witnesses, object when things are going the wrong way, cross-examine, and so on. You’ll be able to use prior witness testimony as evidence and call up witnesses in the order you want. The game promises more than one possible ending depending on your decisions at key moments. Twelve Absent Men sounds like fun, but we’ll have to wait and see how the interactions actually play out. The game will be out Q4 2016 and will be a full premium experience.